The much-awaited film from the stable of Dharma Productions has been making waves ever since the first look was shared on social media. The flick which is based on the battle of Saragarhi will reportedly see the ‘Rustom’ actor in the role of Havildar Ishar Singh. It won’t be wrong to call Akshay Kumar as one of the most sought-after actors in Bollywood. The ‘Airlift’ actor has been delivering some of his best work in recent times be it, ‘PadMan’ or ‘Toilet: EK Prem Katha’. Khiladi Kumar’s latest release ‘PadMan’ is doing quite well at the box office and he is already busy with the shooting of another movie. 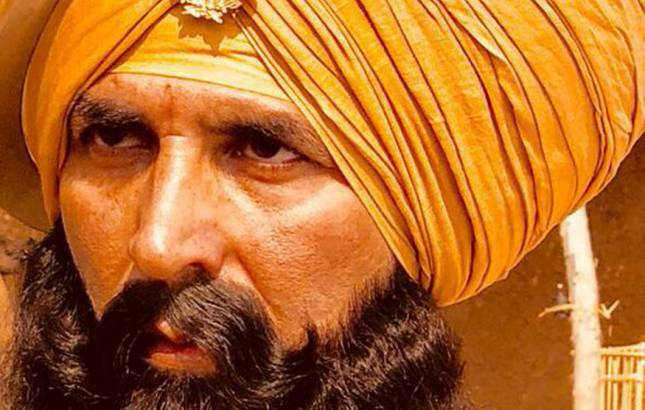 The handsome actor is all set to entertain the audience in a never before seen avatar in ‘Kesari’. Giving fans a delight, Akshay Kumar shared a picture from the sets of the movie. What caught out attention were the three cute little children who are playing Afghani characters in the film. The ‘Jolly LLB 2’ actor captioned the pic with, ‘’ Innocent smiles galore on set today! Shooting with these lovely children playing Afghani kids in #Kesari based on the Battle Of Saragarhi, one of the bravest battles fought in India’’. Akshay Kumar has wrapped up the shooting for his upcoming movie Gold which is slated to hit the silver screens on August 15. The sports drama which also features Mouni Roy is based on India’s first gold medal win at the Olympics as an independent nation.